The Zuni language is unique and historians believe it has been preserved for more than 7,000 years. Unlike other Southwestern tribes, the Zuni language is unrelated to other Native American tongues and considered an “isolate.” It should be noted that the Zuni Indians later adopted words from Hopi and Pima tribes to describe certain religious observances and ceremonies. Today, an estimated 6,000 people in New Mexico speak the Zuni Language. It is passed on through generations.To English speakers, the language sounds breathy and phrases include a series of pauses that convey meaning. 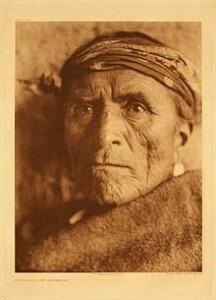 The Zuni believe that without their language, they would have no means of communicating with their ancestors (ancient ones) during prayer. The Zuni language was traditionally passed down through tribal elders and parents. Today, the Zuni/English dictionary has English definitions for 864 words along with pictures and pronunciation. In 2006, an Arizona man named Curtis Cook helped secure the language forever when he submitted 15 years of his work to the Library of congress. Cook spent years working with Zuni tribal elders. Originally, the linguist wanted to create a Zuni version of the Bible, one that chronicled their religious beliefs and history. He soon discovered that while the language was perfectly preserved, it never had a written form. He teamed up with seven tribal elders to create a written version of the Zuni language. The timing was perfect. According to an “Arizona Republic” report, the tribe was facing a crisis. As older members died, the young members would forget certain parts of the ancient tongue and the language was in jeopardy of being lost forever. During his time on the reservation, Cook also compiled 300 reel-to-reel tapes that serve as an oral history of the Zuni tribe, as told by its members. Thanks to the work of Cook and the tribal elders, schools on Zuni land have created new curriculum and guides to help ensure the younger generation can preserve the Zuni language.